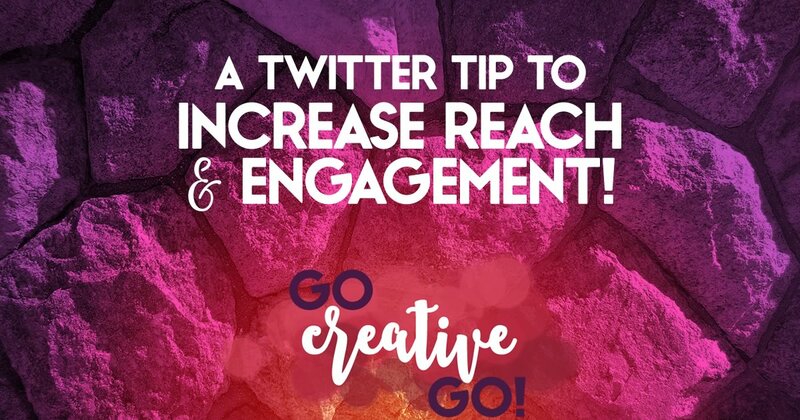 Too Simple Twitter Tip To Increase Reach & Engagement! As a curator of content, I spend a lot of time seeking out great reads that are worthy of sharing with my readers and followers. It’s a big part of my daily social media strategy and interaction. Sharing great content sparks conversation. In the end, that connection and conversation is why we’re all spending time online, right? Yet, as I peruse and post throughout the day, I find myself shaking my head when otherwise smart and savvy social media marketers fail to take seriously one top tenet when it comes to top-notch Twitter tactics. Put A Feather In Your Social Media Cap! And get the online recognition you deserve! Make sure your Twitter handle shows up when I, or anyone for that matter, click on your social sharing button to tweet your captivating content. Credit Yourself For Your Content! I’m guessing you put a little, or a lot, of time and effort into crafting that content. Wouldn’t it be nice to reap some extra reward when that killer content is shared on Twitter? I can’t tell you how many times I’ve clicked to tweet only to see the attribution for the share go to Shareaholic. Sure, they provide a great product and service to many a blogger, but the tool doesn’t deserve the recognition for your content creation efforts! I also see a lot of people who’ve take the time to set up their click to tweet attributions, but without their interactive, clickable, handle. Your company name is nice and you can certainly monitor Twitter mentions of your company name. But wouldn’t you like to allow interested parties to easily access your Twitter profile and maybe add themselves to our growing list of fabulous followers? K.I.S.S. – Keep It Simple, Savvy! Your time in the social space slips away in seconds. You’ve got to take advantage of every opportunity to showcase yourself when it comes to creating connections and enabling engagement. You’ve taken the time to add a social sharing plug-in, because you want your content both read AND shared. But failing to properly set up your social sharing, especially for Twitter, is quite silly. Take a minute, right now – don’t delay – and check out your social sharing set-up. Is your Twitter handle, interactive and clickable, showing up when you click on the little bird? If not, take the time to sort it out. Missed opportunities are silly at best, and I won’t tell you what word I’d use to describe them at worst! You’re a savvy, not silly marketer, aren’t you? http://www.gocreativego.com/wp-content/uploads/2015/09/GCG-pinnable-twitter-reach.jpg 1080 735 Mallie Hart http://www.gocreativego.com/wp-content/uploads/2016/07/GCG-sitelogo-new.png Mallie Hart2015-09-28 08:20:582016-09-30 21:39:57Too Simple Twitter Tip To Increase Reach & Engagement! Never had to set it up with SumoMe. But there has to be a way. Research project! Stop Worrying About Peers Who Appear To Be “Everywhere” Online! ENOUGH! There Is NO Single Best Time For Social Media!